Are you looking for the latest Tornado TV Prices in Kenya? Go no further as we have provided a detailed review of Tornado TV in Kenya, its origin, models, features, specs and an updated Tornado TV price list. Every since the liberalization of the Kenyan TV market, new TV brands have flooded TV shops across Kenya. Tornado is one of these brands and were first seen in Kenya in December 2017. They are digital TVs with incredible features and one of the best quality cheap TVs in Kenya. Go Straight To Tornado TV Shop! The most common models in Kenya are the 24 inch, 32 inch, 40 inch and 43 inch curved smart TV. In terms of pricing Tornado TV prices in Kenya are pocket friendly. 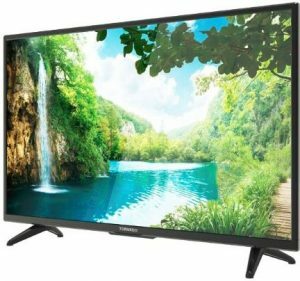 Tornado 24 inch Digital HD LED TV See Prices! Tornado 32 inch Digital HD LED TV See Prices! Tornado 40 inch Digital HD LED TV See Prices! Tornado 40 inch Digital Smart HD LED TV See Prices! Tornado 43 Inch HD Curved Smart TV See Prices! So what is the origin of Tornado TV or who manufactures Tornado TV? This TV is owned by El-Araby Group, one of the biggest consumer electronic company in the Middle East. El Araby is headquartered in Cairo, Egypt and manufactures several home appliances and electronics for the Middle East market. Currently, El-Araby has partnered with Foxxum to design, as well as maintain the app store for their Smart TVs. 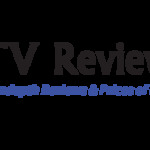 As part of their expansion strategy, the TV is currently being distributed worldwide. In Kenya, it is distributed and sold by Tornado Kenya. You can also order this TV online from Jumia Kenya TV page where they have the best Tornado TV prices in Kenya. All Tornado TV models have new Star label. The star label gives one to ten stars rating; this is the expected annual power consumption assuming the television is on for ten hours every day. The good thing about energy star certified TV is that they are approximately 25 percent more energy efficient than normal TVs. Why do many homeowners love this TV? This is because it has very crisp and sharp images. The manufacturer also understands that sharpness and resolution go hand in hand; a good resolution is not enough to guarantee sharp images. Factors such as noise and motion blur can interfere with how image look on TV. This is why this TV ensures there is nothing standing between you and seeing even tiny pixel by use noise reduction systems that clean the images up. All Tornado TV In Kenya are digital; they have inbuilt digital TV tuners. In simple language, they have inbuilt free-to-air decoders. With this type of television, there is no need of purchasing an external set-top box; all you do is plug your aerial and do an automatic search using the digital tuner. 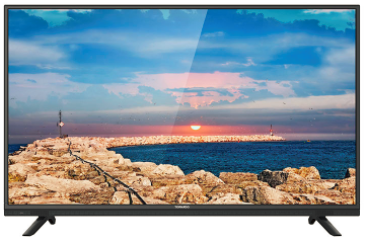 This TV models also support PVR (personal video recorder) which is an interactive recording device. This means you can record and play back TV shows that are stored in a digital format. It can also pause, fast forward or stop your recorded show. The TV comes with bias lighting behind your TV set hence improving the ambient light around the screen. This amount of light, therefore, reduces eye fatigue and strain caused by long exposure to the screens in dark places. Moreover, bias lighting extends the lifespan of your television as well as makes black and gray look deeper. If you have broadband service in your home, you can easily use the LAN modem to transmit TV signals to your TV (the TV set has the LAN port). Once your TV is connected, you can easily share your internet and cable with dealing with cable splitter problems as well as free up the RG coaxial port for another connection. Well, even though this TV is a new brand, you can always protect yourself by buying it from reputable sellers like Jumia Kenya. Jumia currently has the best Tornado TV prices in Kenya. Moreover, when you buy a this TV from Jumia Kenya, you will get a 2 year warranty that assures you the TV is of good quality.